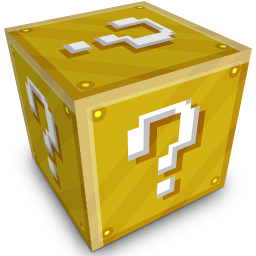 The Lucky Block mod adds just one block, yet over one hundred possibilities to Minecraft! Last edited by Chase98 on 17 May 2014, 23:58, edited 1 time in total. Your release isn't strictly correct for MC1.7 so it's not for "All versions". i like the texture. I would make a mod that added different blocks for stuff like weaponry or tools. Pantha0 wrote: i like the texture. I would make a mod that added different blocks for stuff like weaponry or tools. Hi, could you please update the patch for the 1.10.2 version? They added a lucky sword, bow and potion.